Here are a few random February thoughts for you, in no particular order. Warning: I don’t love February. Every year I think I am not going to let February get to me, and yet it does manage to get under my skin somehow. This is totally stream of conscience – my random state of mind these days. 1. I am sick to death of driving in snow storms. SICK I tell you! My knuckles are permanently white. Between slippery Prescott Street and the Outer-Ring-Road-of-Death, I am absolutely done with driving in bad weather. Done. 2. We talked about taking a vacation this spring but somehow nothing has been booked as of yet. 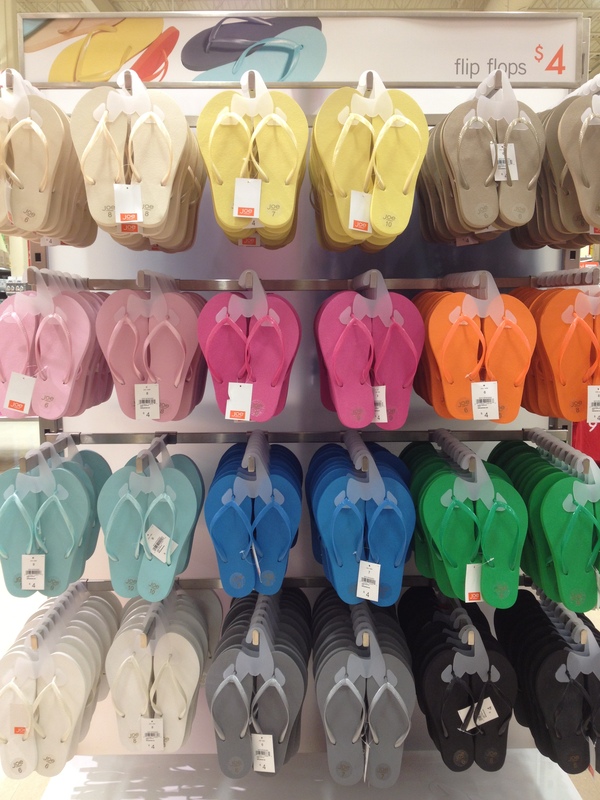 I am having fantasies of running away from Canada with only my flip flops and my iphone. One can dream. 3. Parenting is HARD. Supporting children to strive for their dreams AND at the same time making decisions that you think is right is really difficult. 4. Parenting is WONDERFUL. Among the challenges are such joyful, proud moments. 5. I love the Olympic fever that hits during the games. Everyone gets patriotic, even those who don’t normally follow sports (like me!). I love how an entire country backs our athletes. It is a wonderful energy! 6. Heating a house with oil is EXPENSIVE! Ouch! I see that Harvey’s truck coming again and I want to scream! Come on spring!! I have switched to cold water Tide and have turned down the thermostats… any other tips for me? 7. My contract is coming up at work soon and honestly I don’t love the uncertainty. I am trying to have faith in the universe while plugging away at the job search, but it is not easy. I could use a few good vibes sent my way if you have any to spare. 8. My honey recently watched Blackfish and told me about it. I have decided that I absolutely cannot go to Sea World ever again. I don’t even think I can watch the documentary, it made me so sad to hear about it! It has even changed how I look at my dog. I wonder is he happy? Does that make me crazy??? Maybe February is really getting to me and I’m losing it, but either way, the dog is getting even more love from me these days lol. 9. Good coffee with friends is wonderful for the soul. 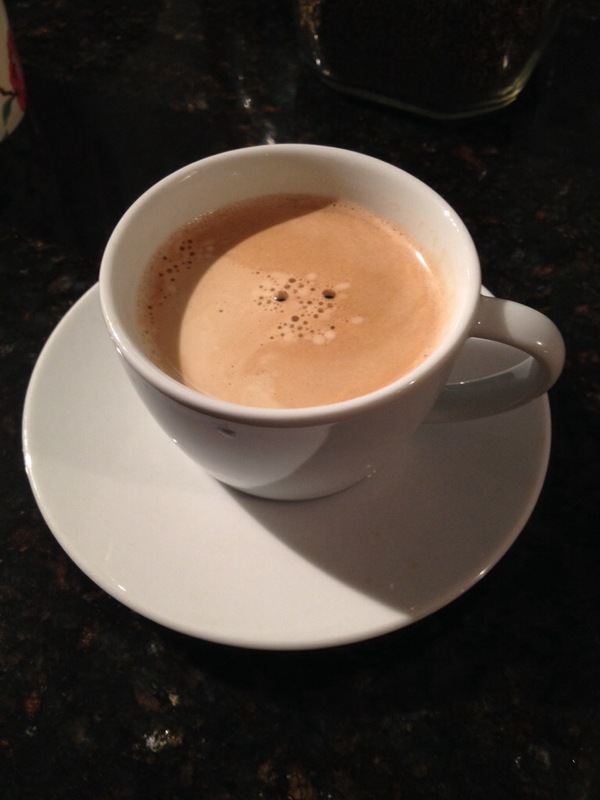 Good coffee is awesome on its own, but add in some lovely friends and it is even better! We introduced our children to Newfoundland music from the very beginning. They have grown up listening to Sunday morning Jigs & Reels regularly. One of our favourite Newfoundland singers is Ron Hynes. We even took the kids to see him perform in Perth, ON a few years ago. He is one incredible talent and we are BIG fans. When my daughter was old enough to actually start listening to lyrics, I remember her reaction to one of my favourite Ron songs – Atlantic Blue. We were listening to music on my ipod and Atlantic Blue came on. She asked me to skip through the song – she didn’t want to listen to it because it was too “mean sounding”. She didn’t know what the song was about and she hadn’t heard about the Ocean Ranger disaster. Once this was all explained to her, I could see the aha moment click and she got it. She understood the song and a little bit about our Newfoundland history. This morning I attended the Ocean Ranger Prayer Service that is presented by Gonzaga High School each year to remember the 84 souls who perished in the Ocean Ranger Disaster. There is no Newfoundlander who does not remember this tragedy. It was one of those events that you recall exactly where you were when you heard the news. I know that when I heard the news I was in our family room with the black and orange patterned pleather sofa and my parents were watching the news on the television. I didn’t fully grasp the enormity of it then, but I knew from my parents’ reactions it was awful. It’s been 32 years since the Ocean Ranger sank. 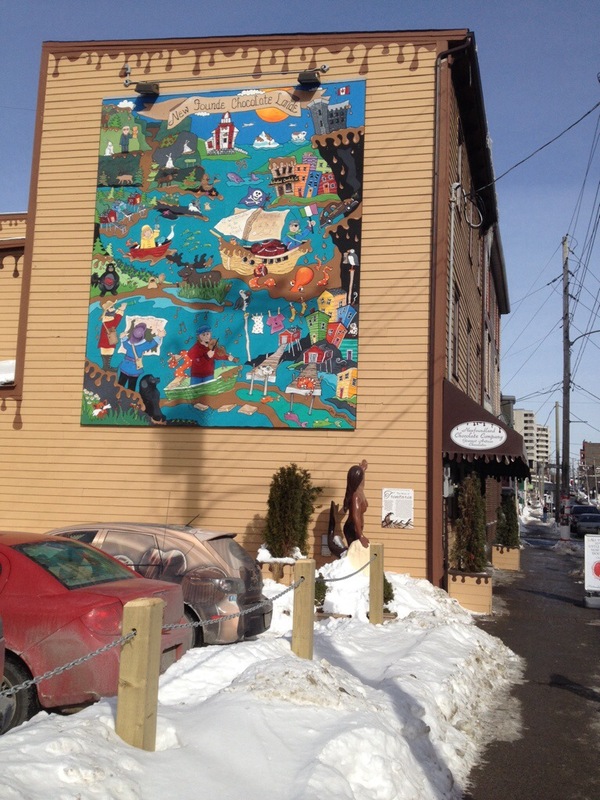 Here is a description of what happened – I found it on this Heritage Newfoundland website. On the night of the disaster, a severe storm pounded the rig with hurricane-force winds and 15-metre high waves. Seawater broke through a porthole in the ballast control room and damaged equipment. 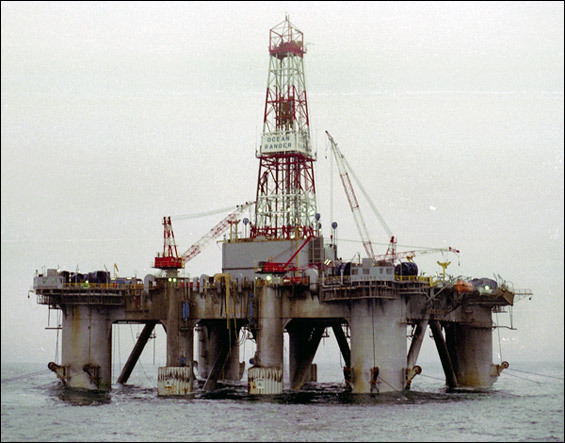 The rig tilted forward and water flooded the forward chain lockers; it capsized in the early hours of 15 February 1982. 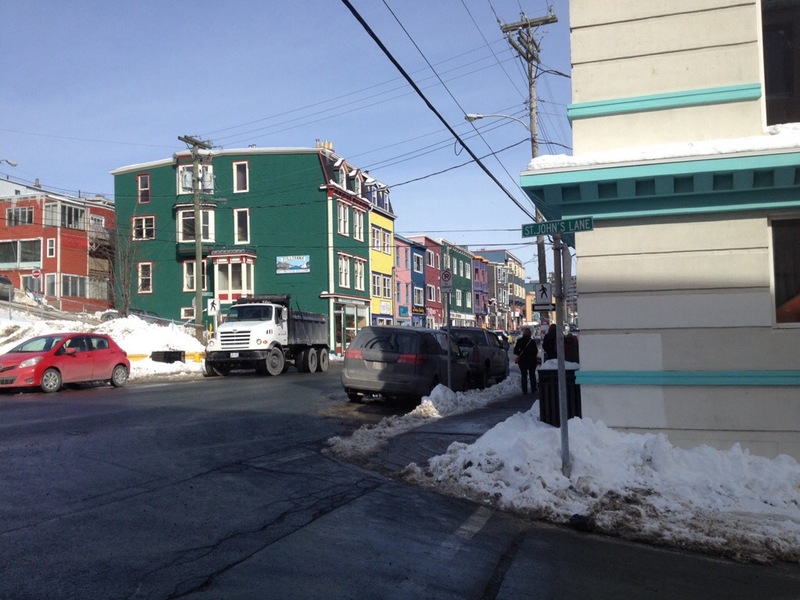 The people of Newfoundland and Labrador are extremely loyal. Keeping people safe is taken very seriously – more so here in this province, it seems to me. Maybe because we live near the sea and understand how unforgiving it can be. Maybe it is because we are isolated. The degrees of separation are so much smaller here that it seems tragedies are felt more closely. I may be wrong, but that’s my guess. At the ceremony today, a candle was lit for each of the 84 men while Gonzaga students read out the names. It was a lovely way to remember. My favourite part of the ceremony was the music. I’ll leave you with a link to Ron Hynes singing Atlantic Blue, which was sung by one of the students today at the ceremony. I’ve been meaning to do a post about the Newfoundland Chocolate Company ever since we moved home. Valentine’s Day seems like the perfect time! I dashed over on my lunch this week and the place was hopping. I’m guessing I wasn’t the only one thinking about Feb 14! 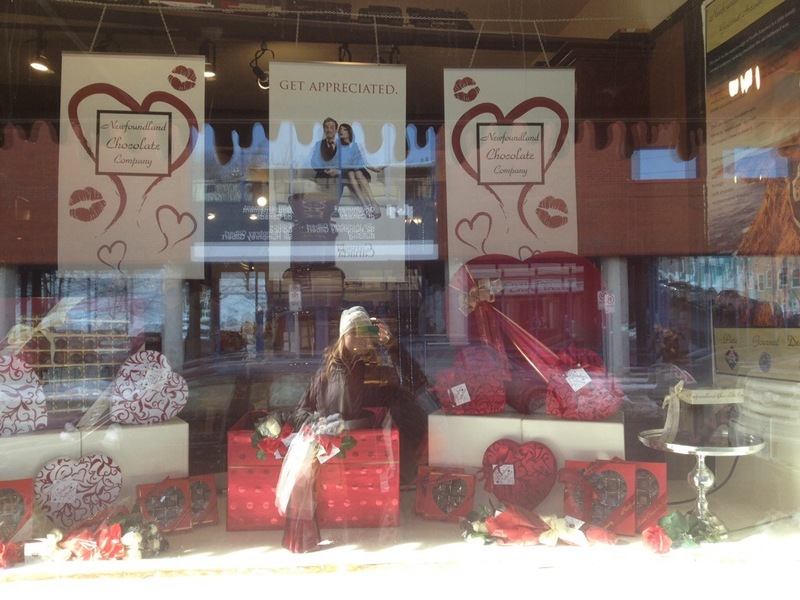 As I made my way over there, I was thinking about how Valentine’s Day can be controversial – not everyone likes it. Admittedly it is totally commercial, but really – in the middle of February everyone needs a pick me up. Going to buy some treats for my family gave me a little spring in my step (the sunshine helped too!). So as far as I’m concerned, bring on Valentine’s Day! Now back to the Newfoundland Chocolate Company! The window display was very festive. You can’t really see the very large chocolate fountain running, but it looks rich and delicious! I wanted to just grab a cup and fill ‘er up. Note there was a sign warning people about only looking and no fingers (Eewwww! I might think about dipping a digit in, but I would never really do it lol). 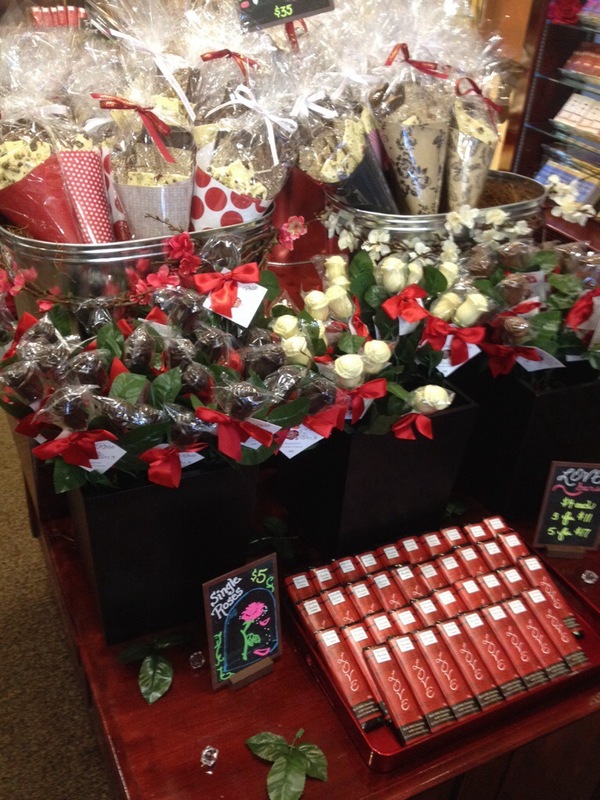 Check out all the chocolate bark, chocolate flowers and LOVE bars. 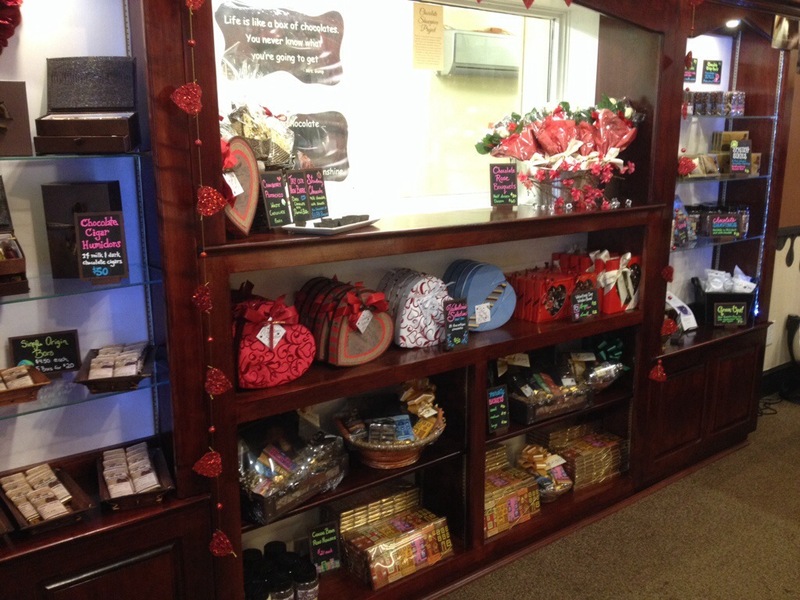 I was tempted to buy a LOVE bar for my honey, but they were milk chocolate, and he is partial to dark, so I went to check out some of the other selections. My picture is blurry 😦 but I still wanted to show you anyway. I LOVE the shirt and tie heart boxes! 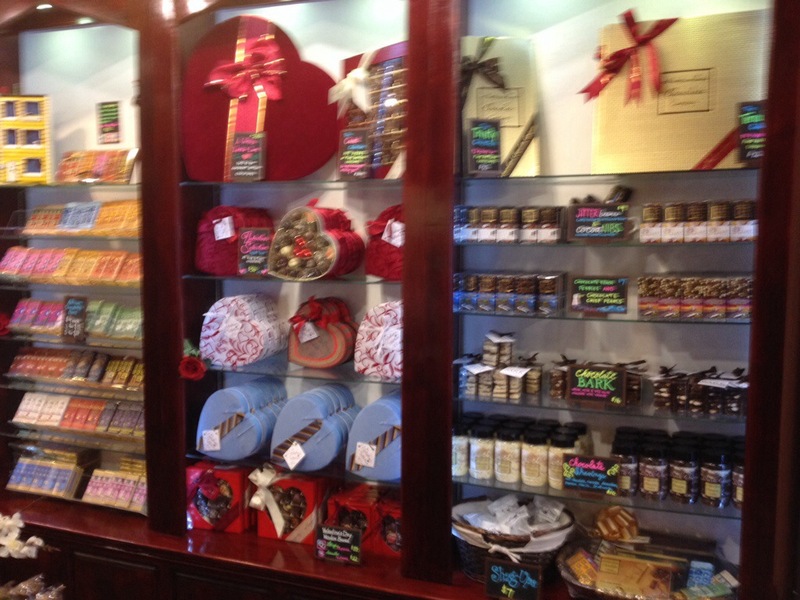 I forgot to take a picture of the truffle case, but trust me there was something for everyone. The St. John’s CBC morning radio show is having a contest and they are asking listeners to come up with ideas for a Wake Up Chocolate for the morning show. I can’t wait to hear what combination wins. Personally, I think you need coffee, caramel and dark chocolate, but that’s just me! The above sign is on the sidewalk outside the store. Very True. 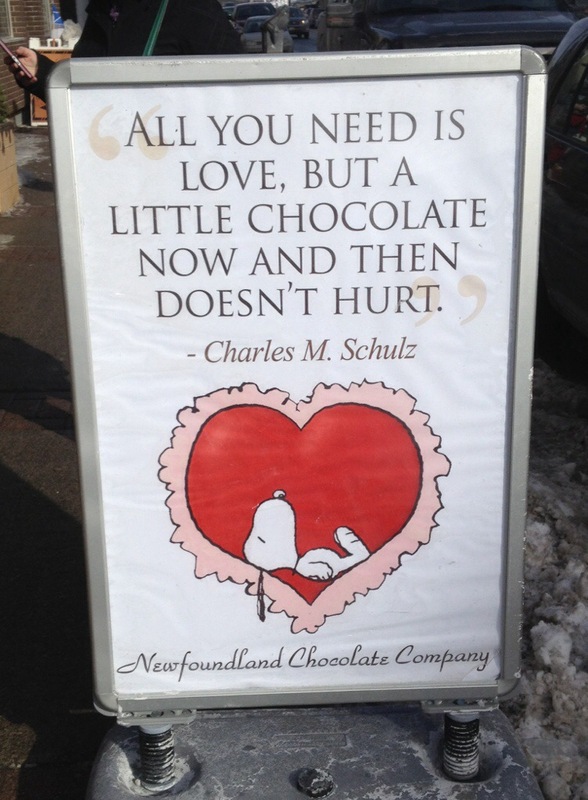 If you are needing a little mid-February pick-me-up, I highly recommend heading down to Duckworth Street and treating your loved ones to some Newfoundland Chocolate! Guess what we finally did this weekend? 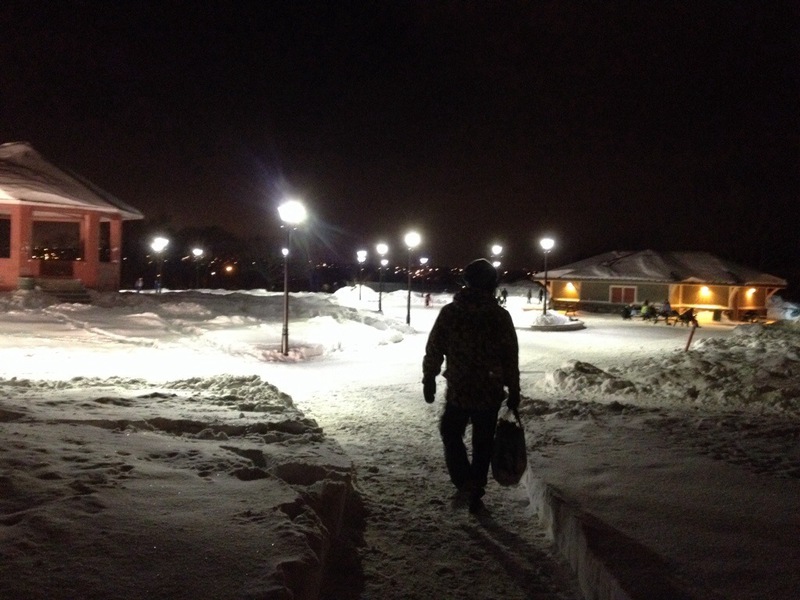 My honey and I made it to the Bannerman Park Loop for a skate! 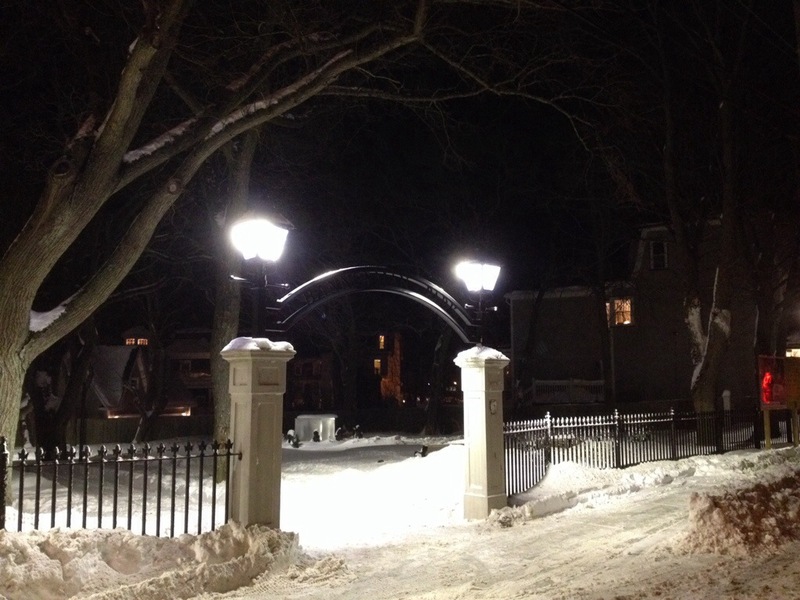 Both our kids had social lives planned, so after we dropped them off at their respective activities, we grabbed our skates and headed to Bannerman Park. 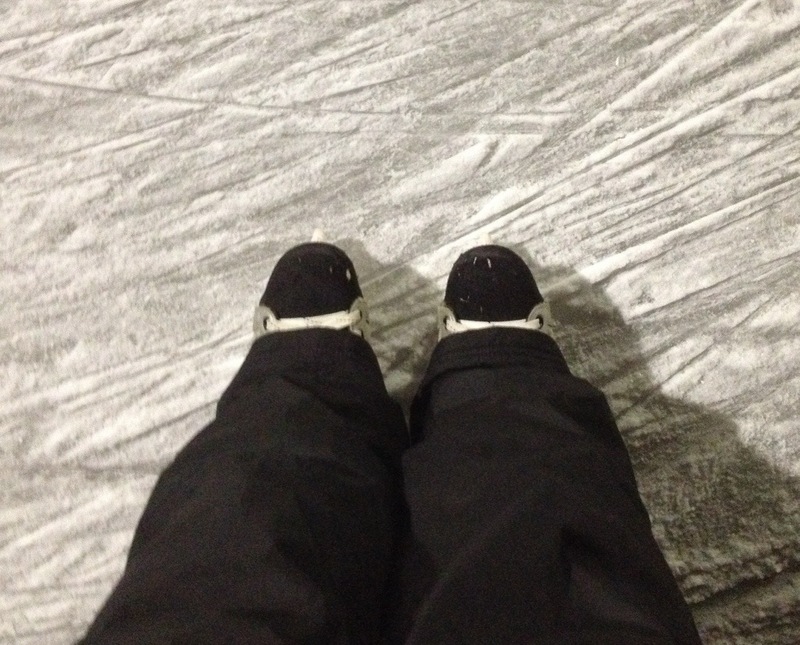 There is definitely an upside to all this cold – the skating surface was awesome. It’s not a really long loop, but great to get outside and enjoy winter as much as possible. 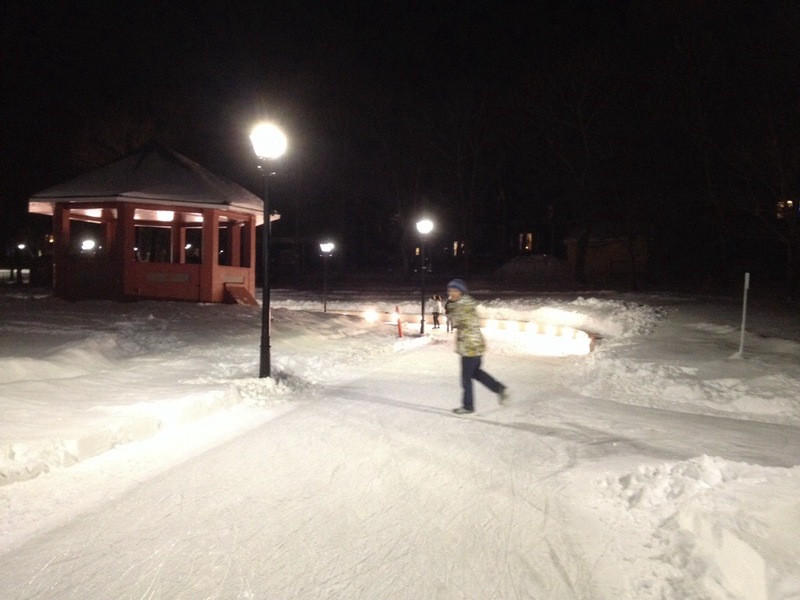 There were lots of kids and families and it got busier as we skated. Can’t say enough good things about it. If you haven’t already, you need to get out and try it! To find out if the loop is open, you can call 733-5667. I felt a bit like a kid today. For the first time in my adult life I had a snow day. Well, actually it was a only a snow morning. But that’s never happened to me before in my working-outside-the-house life! I woke up to check my twitter feed and discovered that our office was closed for the morning due to all the snow and blustery weather. When I saw the tweet announcing the morning closure, I smiled, dropped my head back down on my pillow and cuddled in for a little longer. Is there anything as satisfying as when you *think* you have to get up, and you are gifted with an unexpected reprieve? Sweet joy.